So excited to dive into this new season of women’s bible study at church. 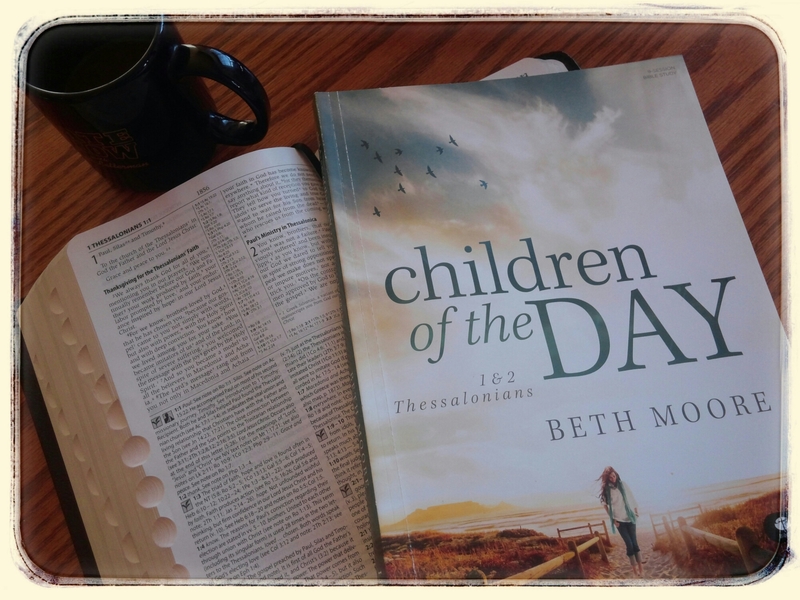 We are using Children of the Day by Beth Moore as our guide through 1st and 2nd Thessalonians. I’m only on day 3 and already feel God’s presence. To be honest I struggle to get deep into my bible reading when I don’t have a study of some sort to work off of or follow along. I love reading the word but I tend to slack off if I don’t have a plan in place. Can’t wait to hear God as I move through Thessalonians with a wonderful group of women. Such a blessing! This thing happens when you become a mother, this thing that no one can really prepare you for and it has nothing to do with how much love you have for your child or how little sleep you get when you have children, those things I actually had some idea about but of course not to the degree in which they would come. But this thing I’m talking about is this uncertainty and this mentality that begs to ask questions like “Do I really have a purpose?”, “Is there something more I could be doing to contribute to the world?”, “Am I supposed to be doing more for God?” These are the questions that I struggle with and I’m sure that I’m not the only one and I know that almost everyone comes across these questions or questions similar to these in their lives even if they aren’t mothers but for me they started more as a mother, maybe because I stay at home with my kids and some days I really do want to rip my hair out or let the toys and the crumbs pile up until someone rescues me from the mess that is never ending. This does not mean that I love my kids any less those days and it does not mean I’m less of a mother for it. (it did take me awhile to figure that last one out). These questions come most often when I’m listening to a sermon or in a bible study and the questions arise… Are we intentionally living for God? Are the things in our life pleasing to him? 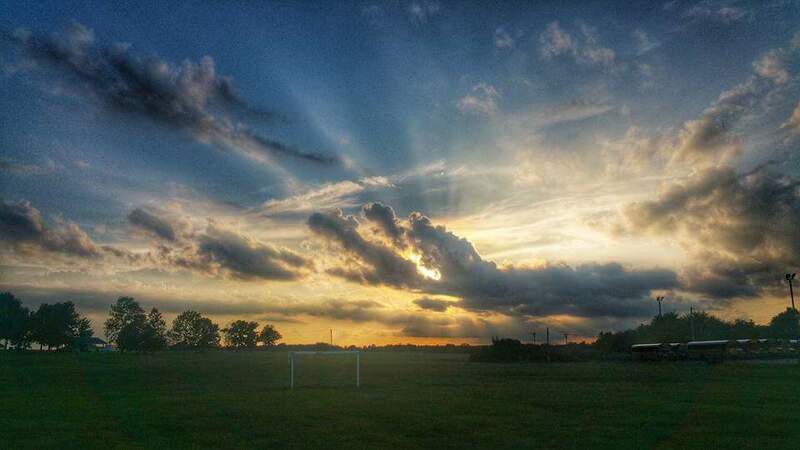 Are we doing what he is asking us to do in our life or ignoring it to fulfill our own plans? These questions stump me at times because I think well I should be volunteering or I should be spreading the word of Jesus proudly every single chance I get but as a stay at home mom those chances are very limited so I become stuck in this rut of questioning my choices and my purpose for living. I’ve been stuck in this rut the last few months and it’s totally my own doing because I haven’t been reading my bible as much as I should and I haven’t had the kind of relationship with God that I know that I can have with him and so doubt settles in. Self-deprecating doubt that tends to build up and kind of nestles it’s ugly little self into the pit of my heart or head or gut and it pops up now and then, reminding me that I’m not worth it. I can usually contain it for awhile- on those days that my children learn something new and I see the awe in their eyes as they look at me in excitement. When they tell me they love me and that they are happy I’m here. When the cuddling never seems to end, well those days are pretty dang good and I forget about that thing growing inside of me and then comes the mundane, the dishes, laundry, constant toy picking up and it rears it’s ugly little head and I start doubting myself not only as a mother but as a woman and a person and for some reason I can’t rid myself of it until I let God in. Today I started the fall women’s bible study at my church and guess who popped into my heart and cleaned out all that doubt that I’ve been letting grow in there for the last several months…. Gideon! Well, God through Gideon through Priscilla Shirer who is the author of the book we are studying this season. So far it has been inspirational and I only just started it. It not only reminded me that I am part of a divine story of redemption just as much as anyone in the bible but also that… I will use her words here “I have been commissioned by God to be their mother. Being a parent may seem like a commonplace human relationship, but I will not be lulled into downplaying it as ordinary. My role as a mom is a deliberate strategy initiated by God to rear young boys into godly men. And I am resolved to fulfill this calling- to be for them what God needs me to be during this critical stage in their lives.” This is it, this completely wipes that doubt away and this makes doing dishes for the 3rd time in a day not seem so purposeless. I hope parents, yes you fathers too matter just as much, I hope that these words take away any doubt that you may have about yourself and your journey as a parent. We are made for wonderful things and right now it is paving a life of intentional living for our children. Intentional living for God and letting that shine through us to our little ones.